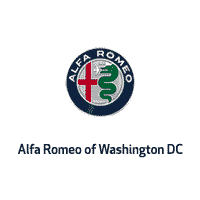 Our recent buying experience with Luke Huntington and the team at Alfa Romeo of Washington DC was extremely satisfying. Luke’s knowledge of a variety of automobiles was very helpful as we were considering the purchase of a Giulia. He took time at every step, over two meetings, to be sure this was the right car for us and after we had made our purchase decision, took time to make sure we understood all the systems. The sales manager, Kevin Boykins, couldn’t have been more thoughtful as he evaluated our Mercedes Benz for trade in and worked on pricing. We received a very fair price for our trade and the total package they developed was met with our immediate approval! How many times does that happen in ones car purchasing experience? It’s notable that all the sales team members help each other out...Al was engaged with us when Luke was finalizing another client purchase. I spoke at length with Kevin about how they’re trying to create a better experience for their clients...I’m happy to say, they’re succeeding! Great buying experience with Luke H. Very knowledgeable about the Alfa Romeo. Al was beyond helpful and is very knowledgeable. Highly recommend your next purchase with him. Kevin Boykins also went above and beyond to meet my expectations. We bought a 2018 Stelvio for my wife last August, and had been looking for a 2019 Giulia for over 6 months. I am very picky, and knew exactly what I wanted. Both Al and Kevin worked with me throughout and finally found the car I wanted - and at the right price to boot! Would not consider going anywhere else - nor should you! Go find Al and tell him Ado sent you! Had a very positive experience with everyone on the team here. Al, Kevin and Tina take care of your every need and recommend the best options. Al claims not to be a great salesman but he's one of the best people I've interacted with and felt more like a friend (makes him a great salesman!). Small location but a superb team helped it make a great experience. For me it would be the people that made it very positive. I would highly recommend this dealership. Courtesy and responsiveness of the staff (Luke, Kevin, et al) were outstanding. I was also pleased to hear from Luke soon after my purchase to determine my level of satisfaction with my Stelvio and its performance. Kudos to all at Alfa Romeo of Washington! From my initial contact with Alberto Meer to the last good bye. I must say it was a class act and great service thru and thru.Every one I meet at Alfa Romeo was very helpful and proffesional. I visited and communicated with a few Alfa Romeo dealerships seeking to purchase a Stelvio. I was looking to purchase a Stelvio fully loaded. I ended up working and purchasing my vehicle with Alberto Meer. My experience was very pleasant and I highly recommend this dealership if you're in the market and looking for this brand of vehicle.